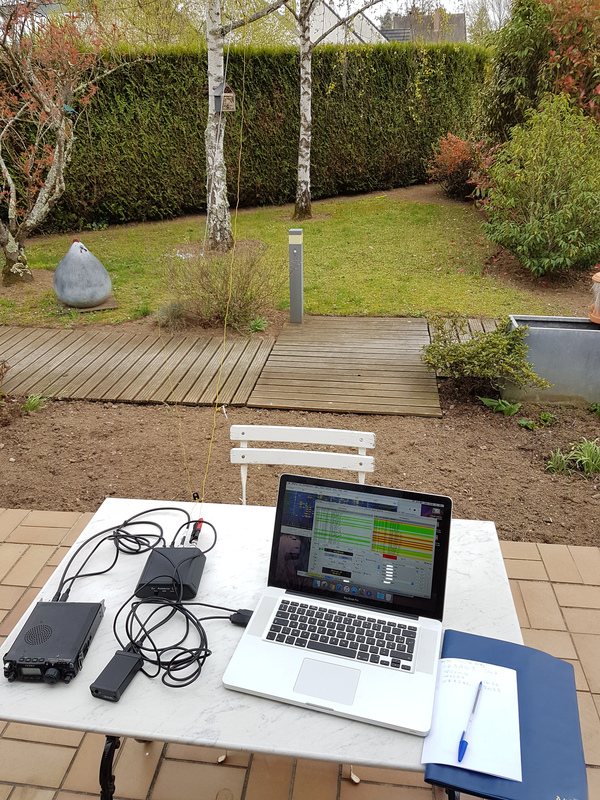 After several tries on 20-meter, I have successfully performed 4 QSO on 30-meter band. I was located in grid square JN07 (middle of France) and made two full contacts in Denmark, one in Poland and one in Italy. According to PSK Reporter, my signal was received and decoded across Europe and even in Svalbard and Florida, more than 7,000 kilometers away! I find it really amazing considering the 5-watt transmission power (less than the power needed to light up a low-consumption light bulb), my less than perfect antenna setup and the low solar activity. 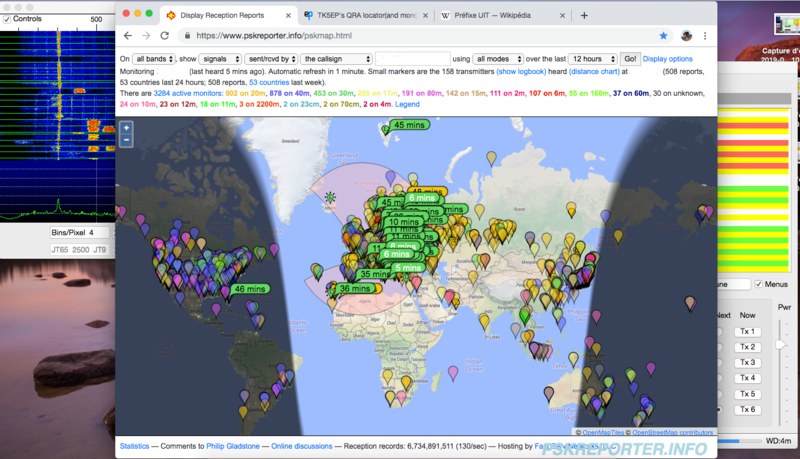 For those who are curious, FT8 is a “digital mode”. The application (wsjt-x) on the computer encodes the message and error correction code to transmit (using frequency-shift keying) and sends it to the radio via the computer interface (here my DigiMaster MiniProSC which is basically a USB sound card). On the next 15-second period, the radio receives signals, the computer interface converts it to a digital audio signal and the software looks for replies. The process is similar to a modem used on old telephonic lines.